Never did I imagine that I would be part of this great technology and eventually create a website to share my experiences and interests with you. It all started in a small call-shop that provided cheap International calls via the Internet. We used to take advantages of the following free VoIP providers which are the pioneers in offering free VoIP calls. Go2Call allowed us to make free calls to 47 countries mostly in Europe. Deltathree acquired Go2Call in 2007. About 2001 and later, few companies started appearing in the market and provided better ways to make Internet phone calls. That enabled us call almost globally but not FREE, it used cost low rates per minute. I categorize all the above devices as ATAs (Analog Telephone Adapters) as they could only work with dial-up Internet access. 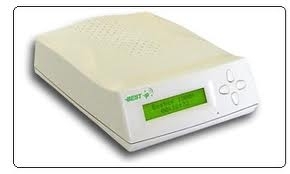 Visit dial-up VoIP phone for more info or VoIP devices link for an overview of VoIP hardware equipment. In fact, I offered the first of its kind service 'on-site calling card in east Africa'. How? 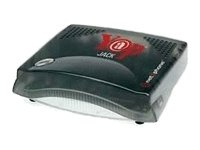 Using the below VoIP gateway which was one of the best at that time. Immigrated to North America and was shocked to find mobile/cellular services and international calls costs very high. Eventually created this site to share my story, experience with you and let your or everyone share stories, thoughts and comments. I thought it'd be fun to provide basic and candid information about VoIP as there are still many people out there wasting their hard earned money while they can take advantage of free VoIP phone service. Got caught by the rat race life in the West! Also working on expanding this site. Let's this "By You For You" VoIP website keep growing and useful! Want to have your say? Sure - I'd love to hear from you, just use the below comment form. For any other question or inquiry use contact page to reach me. My Story or VoIP Phone Tips? Your comment will appear on a Web page exactly the way you enter it here. You can wrap a word in square brackets to make it appear bold. For example [my VoIP story] would show as my VoIP story on the Web page containing your story.